An estimated 200,000 people looked on as the biggest and longest parade in recent years, made up of 178 floats and 12,500 participants, brought the city to a standstill. 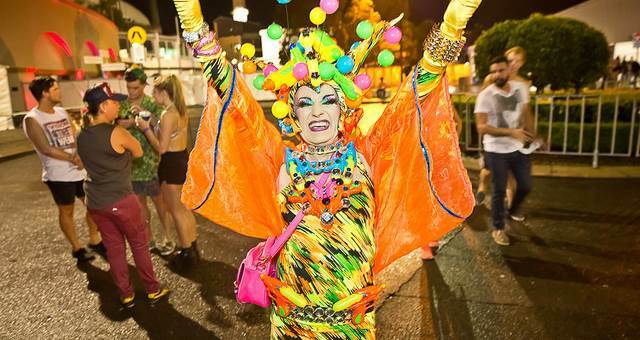 Celebrating 38 years, the Mardi Gras theme of ‘Momentum’ saw thousands of LGBTQI people and their supporters from all over the world come together to joyously celebrate how far the community has come, as well as recognise the journey ahead. Guests of the party were treated to an incredible line up of international and home grown music acts including: RnB superstar Deborah Cox, Eurovision song contest winner, Conchita Wurst, RuPaul’s Drag Race Top 3 Finalist, Courtney Act, Dirty Pop, Ben Manson, Rado, YO! MAFIA, Tracy Young, Mark Picchiotti, Buck Naked, Mark Alsop MA15+, Victoria Anthony, Kitty Glitter, Maze and Masters, Colin Gaff, Haylenise, Seismic and Tanner Derrby. The 2016 Sydney Gay and Lesbian Mardi Gras Parade was proudly supported by the NSW Government through its tourism and major events agency Destination NSW. Visit Event in the Spotlight on the homepage for more images. Photography courtesy of Jeffrey Feng.